An eco-friendly heating technology created by Saiterm is changing the way homeowners stay warm over winter. Based in Amsterdam, the heating technology firm has patented “Spring”, an infrared system that aims to render traditional gas boilers and electric heaters things of the past. With Spring’s infrared heating technology, homeowners can turn up the heat, reduce carbon emissions and radically cut their energy costs. 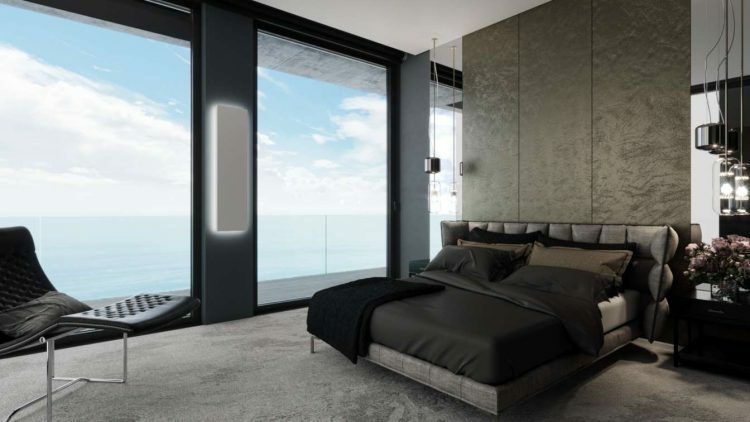 Infrared panels heat homes like the sun warms up people. Unlike gas or electricity systems that use air currents, Spring transforms every single watt of energy by heating people directly. Speaking about the eco-friendly technology, Salvatore Morale, CEO and Founder of Saiterm said: “Spring is a potential game changer, as it heats objects and people in the room just like the sun, rather than temporarily warming the air. Infrared is different from traditional heating methods, as it removes stuffy air by eliminating excess moisture and mould, and therefore provides a more even distribution of heat ”. Compared to older energivorous methods of gas and electric heating, Spring can offer substantial energy savings to homeowners and help reduce carbon emissions. It’s energy consumption also cheaper than traditional models such as underfloor heating, which is on average 236% more expensive to run than Spring. Salvatore Morale spoke about the infrared’s eco benefits: “Spring is a revolutionary and unique product in the world, that enhances the qualities of infrared heating system, and incredibly, increasing energy efficiency and comfort. I believe infrared technology allows homeowners to reduce their energy costs and protect the environment at the same time. The reduction of consumption thanks to innovative technology has been achieved an incredible energy saving compared to the current infrared heating systems and compared to all the other current heating systems”. “As a result of this Spring is especially also more cost efficient in the long run as tests have shown its infrared boards (1200 x 600 mm) only need less than 460 watts of power to reach over 85 ° C, making it the best ratio between consumption and heat emissions on the world market. Embracing infrared Spring technology, the world can live and work in maximum comfort while respecting the planet’s atmosphere”, Morale added. Available for domestic and commercial properties, new Spring system will be is now on sale soon, in different sizes and can be controlled remotely from a smartphone, tablet and thermostat. Owners can easily install the device on a wall or ceiling, as it requires no pipes or maintenance, no building works, no risk of freezing pipes in winters, because they are not present, making it a cost-effective and eco-friendly heating solution for new homes, businesses, community facilities, renovations or even to improve the comfort of a single room.